to toughen up your fingertips. After playing guitar for 13 years, I had a sweet baby and took a month off from playing, and lost my calluses! So I'm starting over and wanted to share my tips for toughening up your fingertips to play guitar. Play a little every day, and if it hurts after playing a few songs, take a break. Don't feel like you have to play all day every day, until your fingers bleed, to get calluses. That may work for some people, but to me, that sounds miserable. Instead, I've found that consistently playing guitar for 15-30 minutes a day will slowly build up calluses without being too uncomfortable. Once your fingertips have toughened up, playing a few times a week will keep them in shape. Depending on how fast your nails grow, you may need trim your fingernails about once a week to keep them short enough that they don't hit the frets when you play. If you use the nails on your strumming hand for picking, like when playing classical guitar, you could just trim the hand that will be on the neck, and keep the nails on the other hand longer. If you gig a lot on the weekends, make a habit of trimming your nails regularly before the weekend. You could also throw some nail clippers in with your gear or in your vehicle so you will have them on the go if you are at a gig and forgot to trim your nails. I've been on the road and had to stop and buy nail clippers before a gig, and it's best to just keep some handy to avoid those situations. Your fingers will thank you! You may hear people warn you not to wash dishes or swim, because you might lose your calluses. Personally, that hasn't been a problem if I continue to play a few times a week and keep up that stamina. But hey, if it gets you out of washing dishes, go for it! Please be cautious about saying yes to activities that could hurt your hands or make it harder to play. I've had to turn down some fun sounding activities because of the risk of injury. Do what you can to protect your hands, because they are your money makers! When deciding what gauge of guitar strings you want to use, think about how that may affect your calluses. I use a light gauge string that is gentle on my hands, and gives my guitar a nice tone when I play. 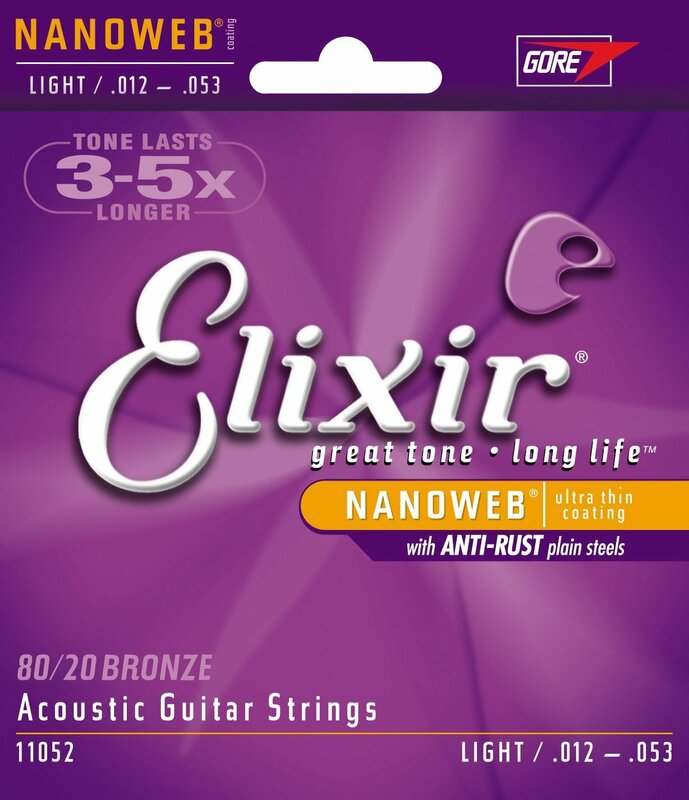 My favorite brand is Elixir Light with Nanoweb coating. If you'd like to build up to using heavier strings, I would recommend to start with light gauge strings, and then work up to medium and then to heavy gauge. Play around with a few different kinds to get a feel for what you like. It's also a great idea to keep an extra pack of strings in your guitar case so you're prepared if you break a string and the music store happens to be closed. Speaking from experience, it happens! Don't worry if it seems like it's taking a long time to build up your calluses. Be patient with yourself, and take it a day at a time. You will get better at it with practice, and will be strumming along with calluses in no time. I hope this information has been helpful for you. I enjoy passing on good resources that have helped me over the years, and sharing them with other musicians. I would love to hear from you if you have some input or questions on topics I could talk about in future videos and blogs. In this episode of the Rustic Songbird podcast, Lydia Walker interviews Sophie Lockhart about her songwriting process and writing songs for the local church.